Plans created with YOU in mind! These are a sampling of the home plans we have created that you can alter or modify. We have many more, so if you don't see something that is perfect for you, we can design it custom for you. After all that is what we specialize in. 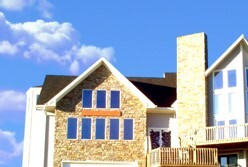 Our plans INCLUDE a foundation - most home plan sites charge extra. We go the extra mile to create plans that are practical, convienent, economical and just what you always wanted! Click here to search our listing of home plans. Search for the one that's right for you.